Father’s Day is just around the corner already, and Summer is coming right behind it. Don’t let yourself get caught struggling to find a last minute gift, or buying the same old cliché tie, for your dad this year. Our impressive line of roofing tools and roofing equipment for sale makes for perfect gifts for the hard working dad. Whether your dad is in the roofing industry professionally or just looking to make some repairs around the house over the Summer, we have what he’ll need to get the job done right. Not sure exactly what kind of roofing tools and roofing equipment is right for your dad? We’ve taken the time to highlight a few of our top selling and highest rated products that any dad is sure to love. While these are technically roofing tools and roofing equipment, they can be a fit for a wide variety of jobs your dad may be starting around the house this summer. So whether your dad is looking for new tools for his job, looking to re-shingle his house, or just looking to do some small projects over the Summer, we have exactly what he needs. With that being said, here are some of our ideas for great Father’s Day gifts! - This shingle shovel makes any re-shingling job a breeze. Designed to make removing shingles from the roof quick and nearly effortless, he’ll be done with the job and ready to enjoy his Summer in no time! - This heavy duty contractor quality roller makes any roofing job easy. With three individual rollers that adjust to irregular surfaces there is no job too tough for it to tackle. Designed with removable legs to keep the steel roof roller standing when not in use as well as making it easy to transport to any job site. - Perfect for working on downspouts and gutters. If your dad plans on doing some work on your downspouts this summer before the storms and rains start to hit, this tool will make his life easy. - The triple function tool. This hatchet claw is an amazing product containing 3 tools in 1. With a hammer, pry bar, and knife blade all in one convenient tool, it has a nearly unlimited number of uses. If your dad plans on doing any work outside this year, this tool is sure to find more than a few uses. - This magnetic sweeper is a dream tool for any outside job. This tool makes picking up after a long day on the job so quick and easy your dad won’t believe it! With its powerful magnets and stainless steel box, our magnetic sweeper picks up nails, screws, and any other metal debris in seconds after a long day of work. No more flat tires for your dad! - If you aren’t sure exactly what kind of tools your dad needs these are always some good options for any working dad. If you aren’t sure what makes proper roofing shoes so important for roofing or other physically demanding jobs, you can read more about it on our previous blog post. Looking for additional Father’s Day Ideas? If you didn’t find what you were looking for in our quick list from this blog post, you can always browse our full selection of roofing equipment for sale right here at AJC. 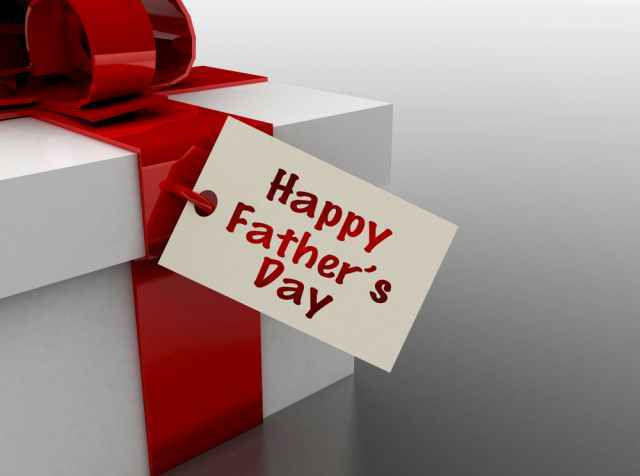 We hope you find the perfect gift for your dad this Father’s Day! Let us know what you ended up getting him below in the comments, we love hearing your stories!